The shape of the house, its dark color and used materials refer to the traditional local pastoral houses. The plot is situated on a slope overlooking the lake and two medieval castles. One hundred meters from the house is a museum with buildings constructed in the nineteenth century which have been moved from the bottom of a lake when it was created. The house refers to the tradition but has a modern form, and technical solutions. Characteristic roof and front wall were covered with aspen chips (traditional technology popular in the north of Poland). It smoothly passes from the roof to the wall. Pastoral cottage meets modern form. This unique house is located on the shore of an artificial Czorsztyn lake in southern Poland. The interior of the house and its location on the site were matched to the view. Wall of the house from the lake is fully glazed. Two sliding windows allow for the opening half of the wall and links the interior to the terrace. In the interior, modern aesthetics is interwoven with traditional, carved ornaments we know from highlanders' homes. The subdued colors of black, gray and natural wood have been blurred with a clear detail. The most important feature of the house is the fact that it emphasizes valuable elements of the environment. Hola Design favourite aspect of the project is the entire atmosphere of the property and its surroundings. They believe that the design is consistent and coherent and that this is the power behind every good project, regardless of its style. The project lasted for 18 months. It is located in Kluszkowce, Poland. The interior of the house is the living room with kitchen and dining room, two bathrooms and a wordrobe on the ground floor, two kids rooms and bedroomon the attic and guest room, technical room and toilet in the basement. All rooms have heated floor painted with paint for concrete. Hand antiqued wooden boards laid on ceilings and walls. In the living room hang two enormity, made to order lamps. Kitchen wall is decorated with cut steel pattern flower symbolizing life. It is a folk character associated with the region. The interior of the house is the living room with kitchen and dining room, two bathrooms and a wordrobe on the ground floor, two kids rooms and bedroomon the attic and guest room, technical room and toilet in the basement. cottage, lake, traditional house, modern form, folk character. 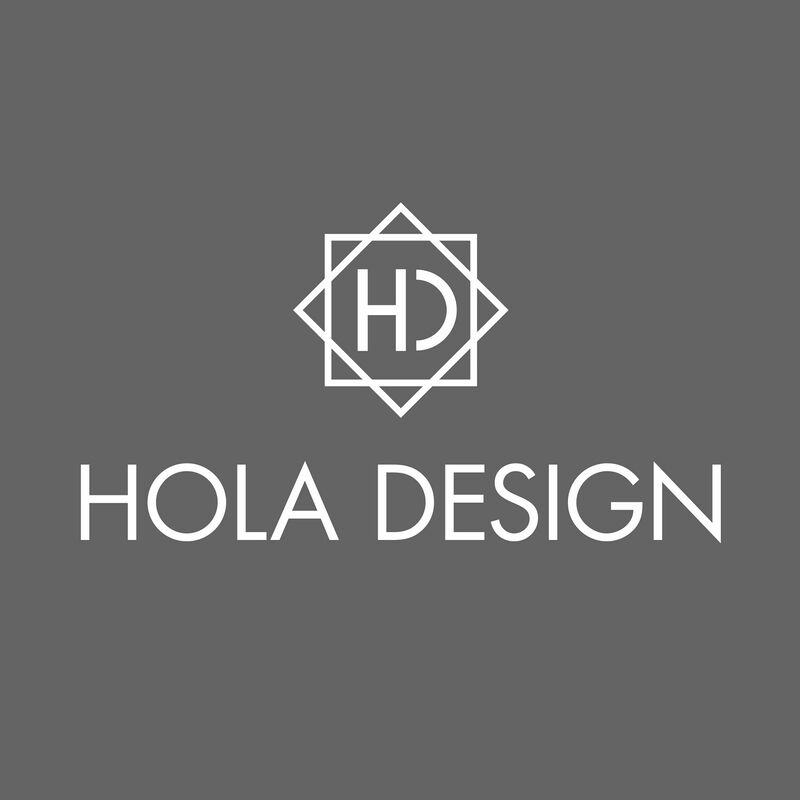 HOLA Design has done extensive research covering the study of local architectural traditions, traditional materials and the ability to combine them with modern materials. The house refers to the tradition but has a modern form, and technical solutions. The combination of the two issues was the biggest challenge. HOLA Design were commissioned to redesign a small cottage located on the shore of Czorstyn lake in Southern Poland. For 10 years we create interior decorations and designs for buildings as part of investment all over the country as well as abroad. Our team is made of experienced designers and architects. In our portfolio we have hundreds of delivered interior and architecture projects. 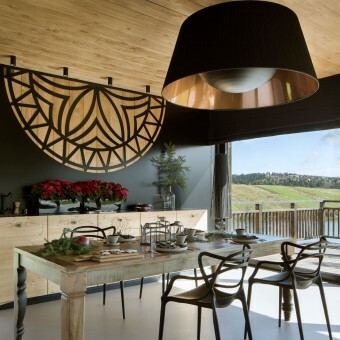 Mountain Cottage Holiday House by Hola Design is a Nominee in Interior Space and Exhibition Design Category. · Click here to register today inorder to be able to view the profile and other works by HOLA Design when results are announced. Mountain Cottage Holiday House by Hola Design is Winner in Interior Space and Exhibition Design Category, 2016 - 2017. · Press Members: Login or Register to request an exclusive interview with HOLA Design . · Click here to register inorder to view the profile and other works by HOLA Design . Did you like Hola Design's Interior Design? Did you like Mountain Cottage Holiday House? Help us create a global awareness for good interior design worldwide. Show your support for Hola Design, the creator of great interior design by gifting them a nomination ticket so that we could promote more of their great interior designs.